An engineer at NASA's Langley Research Center during the critical Apollo years and those that successfully landed Viking on Mars, John Foster Newcomb passed away March 10, 2016. Newcomb graduated from Virginia Tech with a degree in engineering mechanics, and as part of the university's cooperative education program, Newcomb worked at Langley, where he was hired as a permanent employee after graduation. His first assignment as a newly minted engineer was at Langley's rocket launching area, Wallops Island. In the early heady days of space exploration, Newcomb worked on the Lunar Orbiter Project which placed five Lunar Orbiters around the moon, a mission critical to the success of the Apollo Project. The Lunar Orbiters photographed and mapped the moon, giving researchers insight into the best potential landing sites for the crewed Apollo missions. 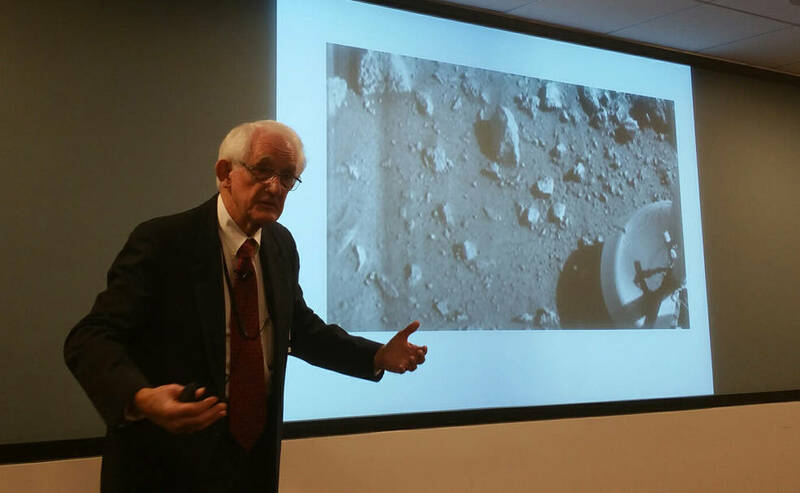 After Apollo, Newcomb worked on the Viking Project which placed two landers on the surface of Mars in 1976. 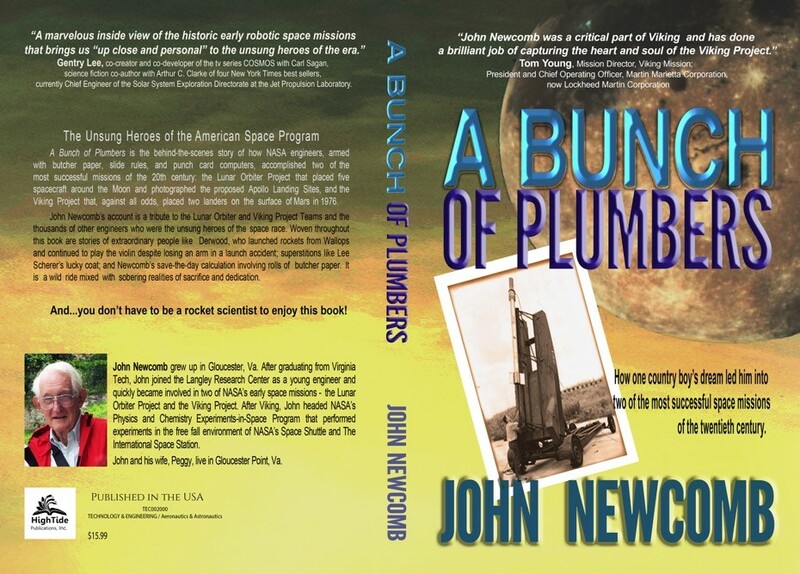 As gifted a storyteller as an engineer, Newcomb gives an insider's view of these two extraordinary missions in an autobiographical work entitled, A Bunch of Plumbers. After Viking, Newcomb headed the agency's Physics and Chemistry Experiments in Space (PACE) Program, which developed experiments for the free fall environment of space and became the core of NASA's microgravity research program. Over the course of his career Newcomb authored or co-authored over 35 technical papers. After he retired from NASA, he continued to consult and teach and had a number of speaking engagements related to his autobiography. Newcomb was also an avid sailor and he came in second in the 1964 Olympic trials, sailing in the Flying Dutchman class. He then won the US National Championships in 1965 and competed in the world championships in Alassio, Italy. He is survived by his wife Peggy of 50 years and three daughters.